Jobs and Projects are Easy when you Rent Smart! When you rent from Rent Smart your success is our passion. Our rental equipment is well-maintained and regularly replaced with new models. This assures customer success by limiting downtime and making your rental period productive. Downtime is rare, but when it does happen, you can count on prompt attention to get the equipment back into action quickly. Our experienced, knowledgeable staff is eager to help you accomplish your building, maintenance, and landscaping goals. 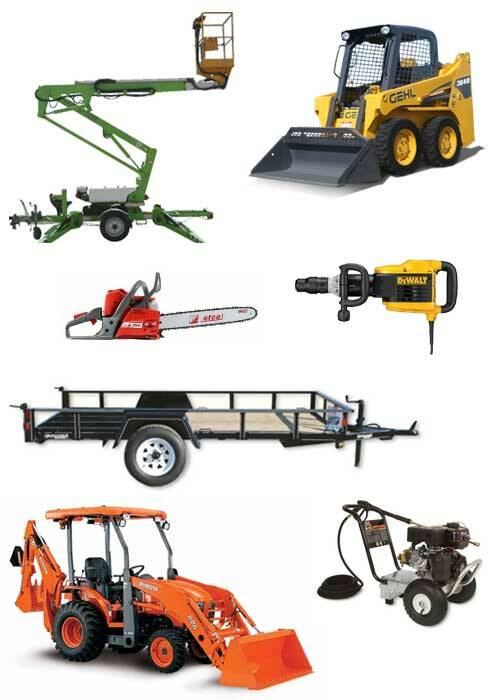 We will help you select the right equipment for your job, and be sure that when you leave with it, you are up to speed about its safe and efficient operation. Delivery is available; please inquire with our rental staff for pricing and scheduling. Our online rental catalog makes it so easy for you to select your rental equipment and submit a Quote Request, any time of the day or night! Once received, we will contact you to complete the reservation. Your equipment will be ready and waiting for you at the scheduled pick-up time. You can also call us for a quote - we’ll be happy to discuss your project and make recommendations. RENT SMART today, and get all your jobs and projects completed!